Steel handle with hexagonal end and removable tommy bar. Fits 15mm and 22mm (1/2" and 3/4") nuts. 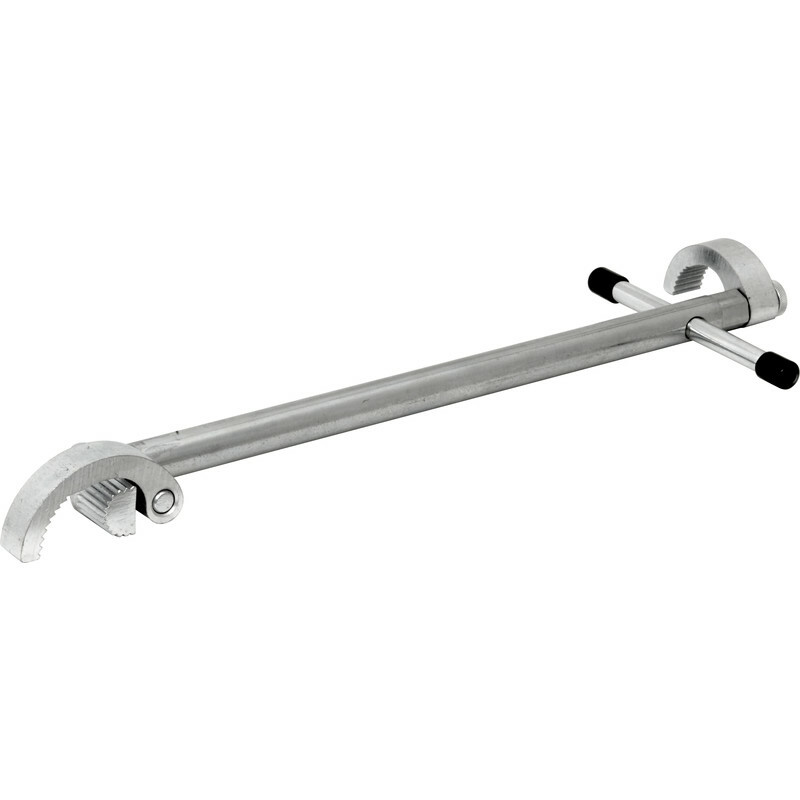 Monument 2 Jaw Adjustable Basin Wrench 290mm is rated 2.0 out of 5 by 1. Rated 2 out of 5 by Rob1964 from Poor quality I had an original as an apprentice 35yrs ago and thats me just renewing it now. This one doesnt have the same quality or feel about it as my old one. I would say its no better than cheaper ones that are on the market.